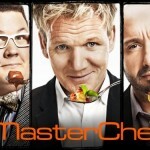 With the start of a new season of MasterChef airing in the United States, I thought it would be interesting to take a look back at least year’s group of contestants and find out: where are they now? Are they continuing to pursue a career/work in the food industry somehow, or have they gone back to their other, previous “day jobs”? Here’s what I found doing a quick search around the internet. 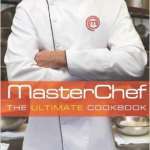 “My Italian Kitchen” – the new cookbook of Luca Manfe, winner of MasterChef US Season 4. Get it today at Amazon. 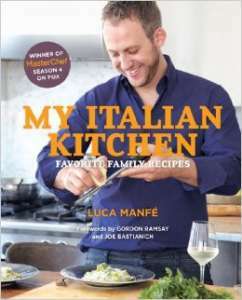 Of course, we know that Luca Manfe was the winner of season 4, and his cookbook, My Italian Kitchen, was released in May of 2014. 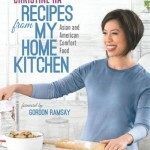 I must say I was quite impressed, particularly given how disappointed I’d been with Season 3 winner Christine Ha’s book. Luca’s book is pure (mostly Northern) Italian that features very authentic recipes with elegant and unusual twists to some of them. You can read my full review of the book for more information on the title. Luca remained based in New York until recently, offering his “Dinner with Luca” events, which could be booked via his website. He was one of the guests on the 2014 MasterChef cruise, along with several other past-season winners and popular contestants. He has recently relocated to Houston and is still doing Dinner with Luca events, as well as talking about starting up a food truck, according to his Facebook page. Natasha Crnjac, the “stay-at-home mom” from San Diego, had a new website launched in 2014 called “Frisky Mama” (http://www.friskymamablog.com/ was the URL…it seems to have vanished as of March 2015.). She advertised herself as a personal/private chef and wrote in her blog about her travels…and apparently was promoting Chia Seeds? Her older website at http://natashacrnjac.com/ is still up and running but has no recent updates. Jessie Lysiak, the yacht stewardess from Georgia who came in third? According to her twitter account (formerly “@mc4jessie”, now “@ChefJessieLB”), she’s also promoting herself as a private chef, and has continued to work on yacht crews. Her sometime nemesis on the show, Philly’s Krissi Biasiello, has launched her website as The Rotund Chef. She is offering private cooking classes, demos, and catering services. 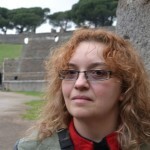 She has also done a number of internet radio broadcasts for the Totally Driven Radio Network, with the title Fork Off. James Nelson still lives in Texas, where he is working to promote Bravado Spice, a hot sauce company which he co-owns. They offer some unique concoctions such as jalapeno & green apple hot sauce, or ghost pepper & blueberry. You can follow the Bravado Spice Facebook page for updates and upcoming appearances. Bri Kozior, the theater assistant from Pennsylvania, ended up taking a job as a pastry chef in LA and then moving to New York for a job at the Bouchon Bakery, according to an interview from July 2013. In February 2014 she announced a new website called “Bri is the New Black“, but then she took it down quickly (according to a Facebook post), promising an upgrade. The site is now up at a new url, hashtagkitchen, where she mentions having worked as a “nanny, private chef and yacht chef”. She is available for “catering services, cooking lessons, or private dinners”, according to the site. Jordan Roots, the delivery driver from Minneapolis, ran an unsuccessful Kickstarter campaign to try launch a food truck called “Salted Roots”. He continues to actively promoting both his food and his artwork on his Facebook and (non-MasterChef) Twitter account, @saltedroots. Eddie Jackson, the former NFL player, was working as a personal trainer and private chef in Florida and occasionally doing appearances/pop-up kitchens after MasterChef ended. He had a website, Fit Chef, where you could find out more but as of May 2015 the site no longer seems to be up and running. He now appears to be running a food truck in Houston and will be competing on the upcoming season (season 11) of Food Network Star. You can keep up with him now on Twitter @fitchefeddie. Bethy Rossos‘s website shows her promoting cooking classes and catering, although the blog hasn’t been updated since early 2014. Savannah Sturges had a website at savannasturges.com for a time also promoting cooking classes and catering, but that site is no longer up and running as of May 2015. Her older blog on blogspot is still up and running, with entries from 2013 but nothing since then. Lynn Chyi appears to have gone back to his career in photography and design, as his website showcases primarily wedding and food photography work. He’s also been doing behind-the-camera work for The Sam Livecast, an online cooking show. Massachusetts carpenter Jonny Blanchard, in his “exit interview” with CTV, mentioned working with fellow contestant Malcolm Green after the show was over—but if that lead to anything more than a one-off tailgate party seems difficult to find out. His Facebook page is still active with lots of food photos and cooking talk. Malcolm is currently running a GoFundMe campaign to launch his own food truck business. Beth Kirby‘s food blog, Local Milk, is now 3 years up and running as of 2015 and lists her working as a “a freelance writer, recipe developer, stylist, and photographer”. Bime Cruz, the boxing coach from Taunton, Massachusetts, ended up getting a job as a chef at the Stoneforge Tavern in Raynham. In an instagram post he mentions being in Boston for six months but then returning to the Stoneforge…so it looks as though being on MasterChef was good for launching him in a career in food and cooking. Howard Simpson, the barback from San Diego, also apparently used MasterChef to move up in the restaurant world; his Facebook page has lots of updates on his current activities and his LinkedIn profile shows he is currently the manager at High Flying Foods – and a drill sergeant in the U.S. Army Reserve! Kathy Prieto didn’t last long in the MasterChef kitchen, but Gordon Ramsay promised her an “internship” at one of his New York restaurants after she left. Well, apparently that internship lasted all of one day. She does have a catering company, Fire’s Flaming Kitchen, and offers cooking demos. Adriana Guillen has a YouTube channel where she’s posted episodes of her show “Authentically Mexican | Deliciously Vegetarian”. Her website also mentions doing cooking demos and exploring “many culinary projects”. That leaves Sasha Foxx, the singer from Alabama who was the first eliminated from MasterChef in season four. She now appears to be located in Los Angeles and concentrating on her music/entertainment career, judging by her LinkedIn profile. So, all in all, it looks like most of the contestants are continuing to pursue something in the food and cooking-related fields. Many have seemingly used MasterChef to launch or help promote personal cooking and catering businesses; a few are working in or continuing to look for work in restaurant world. If you have any additional information on what the contestants have been up to, do leave a comment here so I can update this page and share the info with other MasterChef fans!